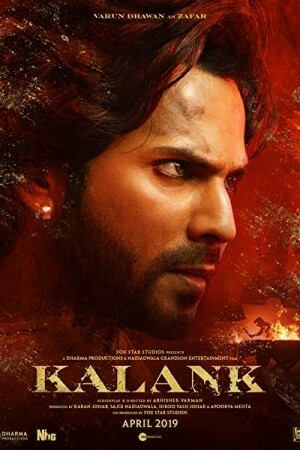 Kalank, an Indian Hindi-language period drama, is set against the backdrop of the pre-independence era of 1945 and revolves around the impact it causes on an elite family. The rise of communal tensions and the time of partition nearing reveal some hidden secrets of the family causing stress within the family. Within the atmosphere of the town bathing in different shades of red including violence and love, Dev, Satya, Roop, and Zafar are put into a battlefield of love. Released with Madhuri Dixit replacing Sridevi for the plot that was planned around 15 years ago by Yash Johar, how the movie unfolds another hidden mystery of India’s past forms the rest of the story.